Users need no longer worry about format compatibility or what software their partners use! 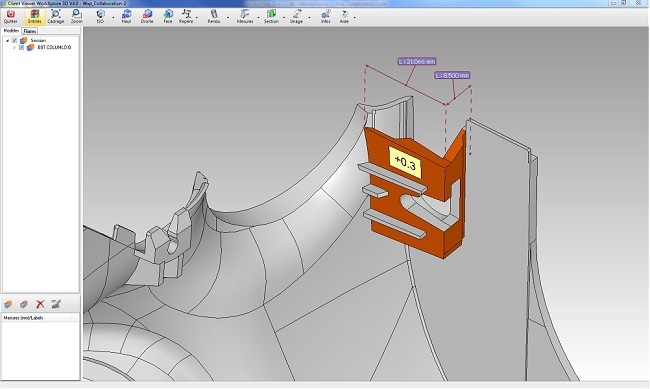 WORKXPLORE enables users to communicate 3D parts and assemblies to sub-contractors, customers or colleagues using an independent application generated by WORKXPLORE. This application is extremely compact and easy to transmit by email. The recipient can immediately display and work on the 3D model without requiring the original CAD data. Furthermore, user access protection can be applied to ensure that only the right people see the right data.